It is natural that we measure things by a familiar yardstick – the problem is that being so-biased or lazy, we can be deceived. Take gold. Popular belief has it that gold prices have not performed especially well despite some egregious geopolitical and economic factors. Well measured in 72 currencies, gold is at … or within a few percentage points … of being at an all time high for people in those countries. 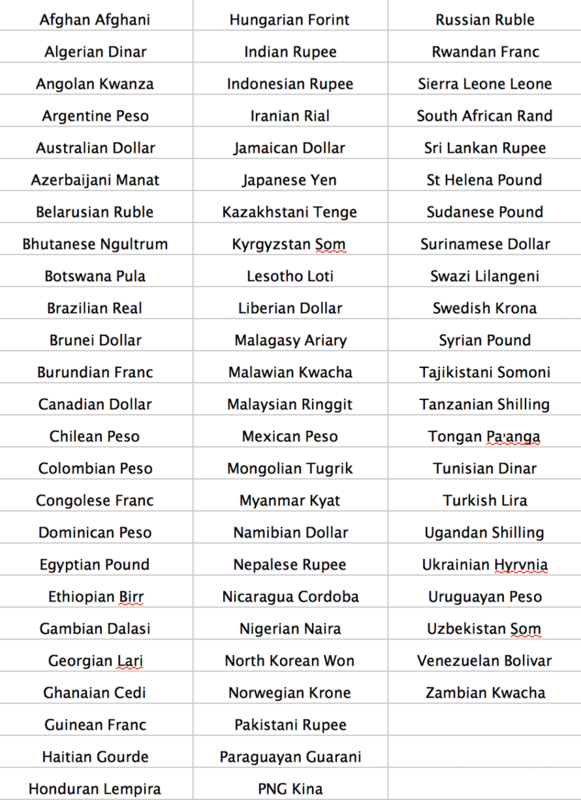 Not on the list are the British Pound, the Swiss Franc, the Euro and Chinese Yuan – but we are not far off in all of those currencies too. Only in USD does gold lag – and not all of us live in the US. Using the dollar gold price, as most of us do, has disguised what is actually quite a powerful bull market. If my memory serves me right, we saw the same phenomenon – a stealth rally in minor currencies – ahead of the last major gold bull run (in dollars) in the late 1990’s. Arguably this may be a very good leading indicator. Faulty yardsticks also takes us onto wealth management. Measuring our net worth in local currencies, we might be rather pleased with ourselves – smug even. However we chose to ignore the fact that the yardstick is not a constant … it is shrinking and sometimes really quite fast. It’s the natural corrosive effect of inflation. Knowing this, governments give us a gauge for yardstick shrinkage to use such as RPI or CPI, to reassure you that the shrinkage is minimal… and then lie about it. In the US, the Chapwood Index is highly regarded as it reflects the true cost-of-living increase. Plainly and simply, the Index shows that incomes can’t keep up with expenses, and it explains why people increasingly have to turn to the government for entitlements to bail them out. The basis of the Index is fullly open to scrutiny and if correct suggests Americans have been losing roughly 10% of their wealth each year since 2014. Half of it gone. This compares with the official government figure of 1.9%. Ronald Reagan called inflation “the thief in the night” and it is built for times just as this. It gives the appearance of being wealthy (maintaining high nominal values) while eroding your actual position – which manifests itself in far higher costs on the other side. Many crises invariably start with stealth inflation and then follows currency weakness – so gold gets expensive and then it blows out significantly higher in your local currency. Then you realise that the lifeboat has sailed … the choo-choo train has left the station. For the unprotected, your backstop plan to protect your wealth by “buying gold when I need it” has just failed. You are now trapped with a dissolving currency and every financial escape route looks too expensive … and so it goes. Ask anyone in one of those 72 countries (see below) where gold is starting to look expensive. In short, insurance is best bought before you think you need it … boring, but true. It’s easy to swim with the tide. The current will turn against the bulls soon enough.